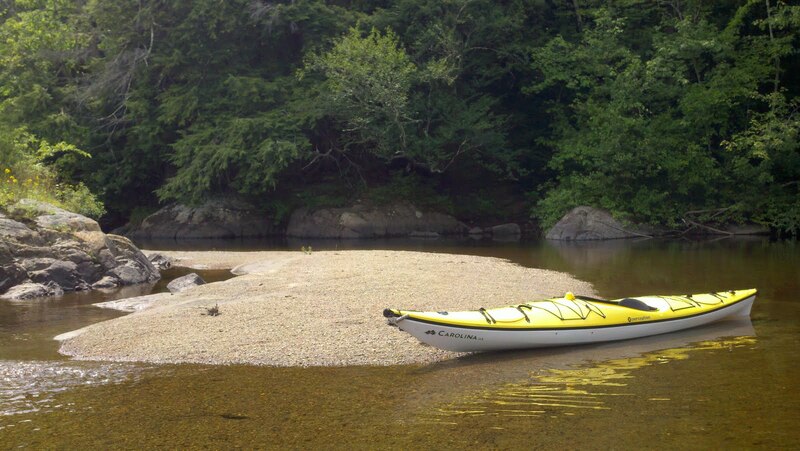 I made three separate kayak trips on August 5,6 & 7, but they were all on the Schroon River, so I decided to combine them all as one blog post. Friday, August 5th - Schroon Falls to Alder Meadow Road - I kayaked with my friend Jeff. We put in at Schroon Falls. From Northway (I87) exit 28, go north about 2 miles on Route 9 to parking on the right. I didn't have my camera, so I wasn't able to take any river photos. 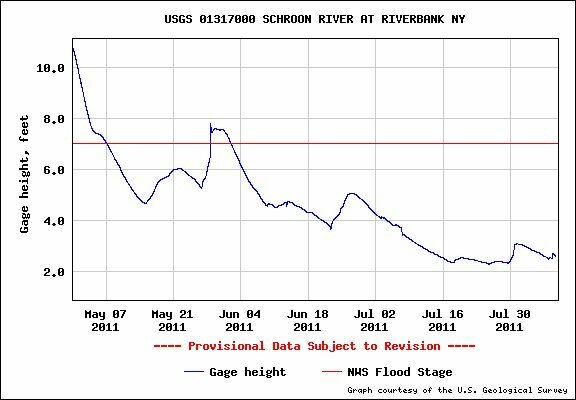 The Schroon River gauge at River bank was indicating just below 3 feet, which is about the lowest water level you would want to attempt to paddle this stretch of the river, It was a little scratchy in spots, but by watching the river, we were able to avoid most of the shallow spots. 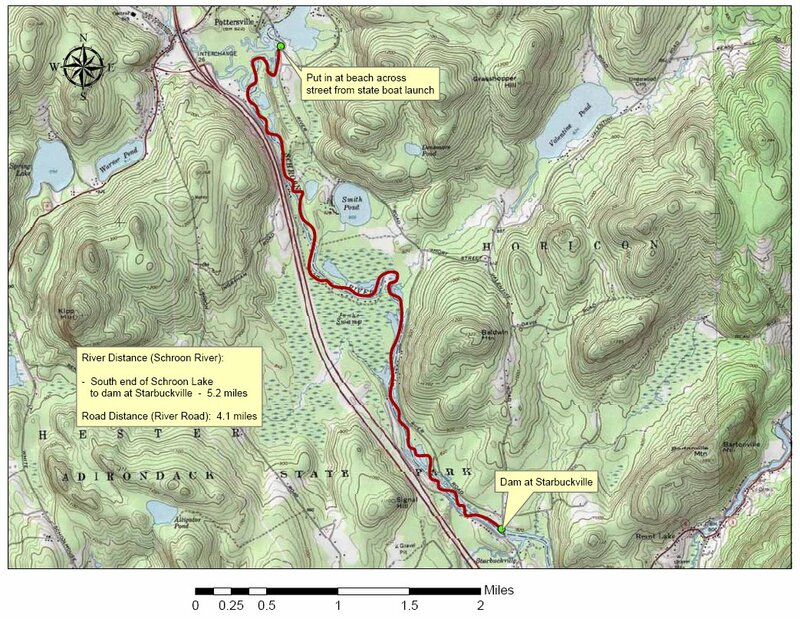 We didn't get started until 4 PM Friday, so we decided to paddle a 4.8 mile stretch from Schroon Falls to Alder Meadow Road. The river throughout this section is a Class I, with some riffles, mostly a gentle meandering stream. 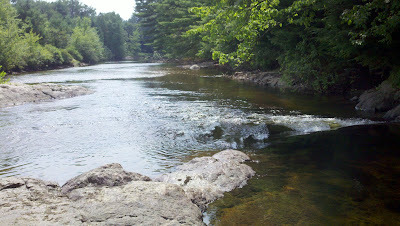 As you travel down the river you pass several campgrounds. After approximately 2.7 miles you pass under Route 74. The stream really begins to meander, and there are beautiful sandy banks on every turn. We stopped at one to go for a swim. After about 90 minutes of gentle paddling, we reached Alder Meadow Road (the 2nd truss bridge) at about 4.8 miles, and exited at the bridge on the left. Parking is available there. 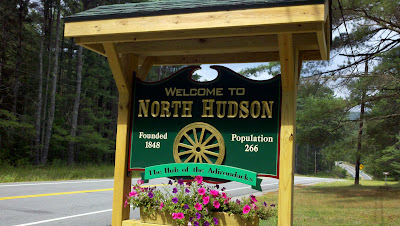 Saturday, August 6th - North Hudson (exit 29) to Schroon Falls - I had not done this section of the Schroon River before, so I was anxious to check it out. I parked at the old Frontier Town in North Hudson, NY, adjacent to a truss bridge on the Blue Ridge Road, near Northway exit 29. I wasn't sure there would be enough water to paddle this part of the river. 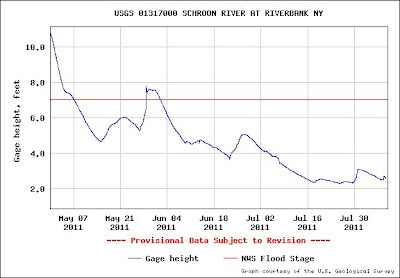 The Riverbank gauge was still just below 3 feet. 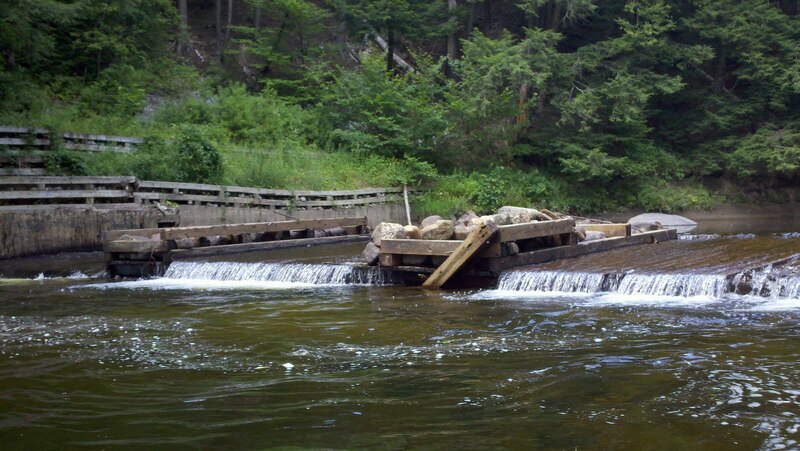 Shortly after launching, the Palmer Pond outlet stream entered from the right. Next observation was a tiny island (which was easier to paddle right of). It looked to be a great spot to swim or picnic. I chose a swim. After a nice swim, I got back in the boat and continued downstream. Next up would be Linsey Falls, according to my map. I read somewhere that this small section was a Class II water, but at this gauge height, it was mostly a boulder field with not enough water to paddle. After banging into several rocks and scraping bottom, I got out and carried the boat over this section that lasted perhaps 500-1000 feet. 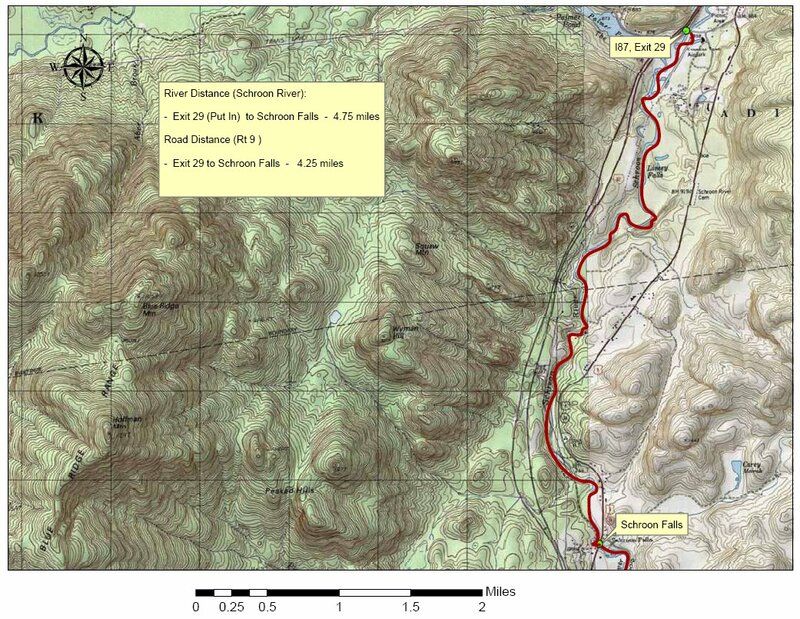 About halfway down this 4.75 mile journey was an old dam. I carried over the left side, but it looked like you could have paddled through on the right (at this water level). 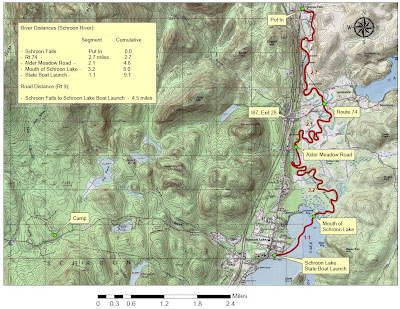 The last couple miles had no obstacles, and the paddle was pleasant to the takeout on the left just before Schroon Falls. Takeout was just prior to a large piles of rocks on the left shore. A 2nd pullout was just after the rocks and just before the falls, but it was a steep pullout (live and learn). This whole trip took about 2 hours including the swim, scouting and carry time. Other than the carry through Linsey Falls, it was quite nice. 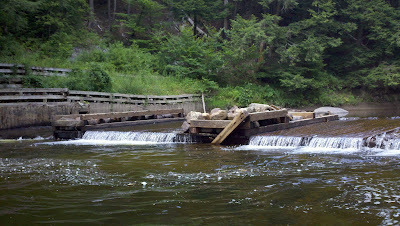 Perhaps Linsey Falls can be run in times of higher water. Sunday, August 8th - South end of Schroon Lake to Exit 25 (Starbuckville Dam) - This 5 mile section of the Schroon River is quiet water due to the dam at Starbuckville. Both banks of the stream thruout most of this section are lined with cottages and houseboats. The water stays deep enough in this stretch of the river for motorboats. 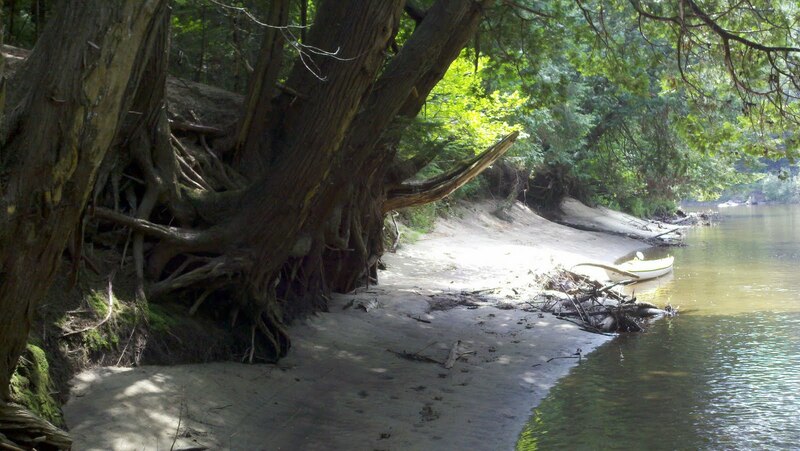 Other than a bend in the river about halfway through (Jenks Swamp), the river is relatively straight. I did a quick paddle of this piece of the river in about an hour and 15 minutes. 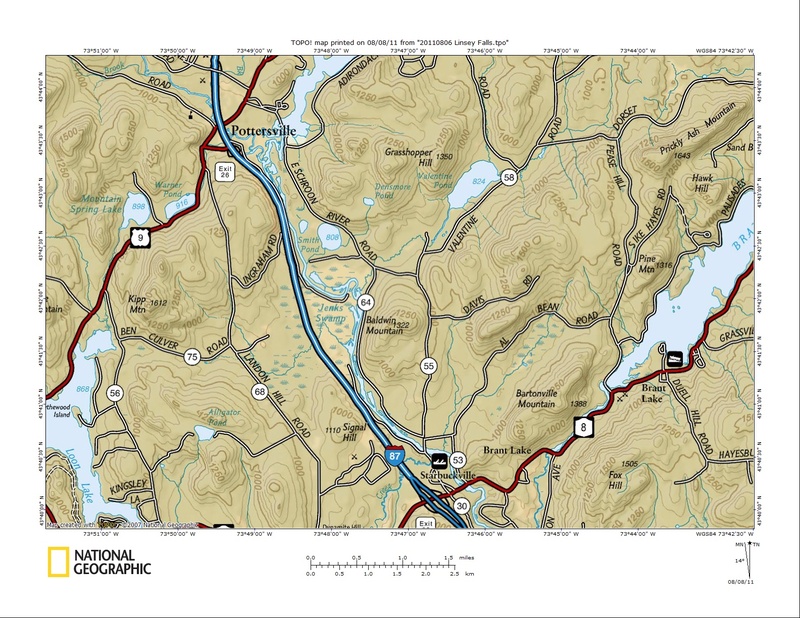 The Put In is just across the street from the State Boat Launch at the south end of Schroon Lake in Pottersville. 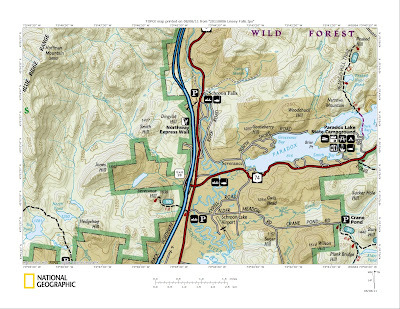 Takeout is on the left immediately before the Starbucksville Dam, just past the bridge. The sign on the bridge warns not to go past the bridge, but it is an easy exit to the left between the bridge and the dam. It is now 6/1/13 and I just want to say to telemarkmike, thank you so much for this blog. We did the run straight thru this past Sat. from No. Hudson to the beach on Schroon Lake. It was very informative to know all obstacles on the north end. It was a fun paddle. We were able to fly thru Lindsay Falls and cross right over the old dam with no problem due to the high water. Did get pretty wet at times. It was a great experience for our first class II. Thanks again. Great! I love to paddle the Schroon. I haven't done it yet this year, but maybe this weekend. Did you paddle through Schroon Falls, or carry around? I haven't tried going through it yet. 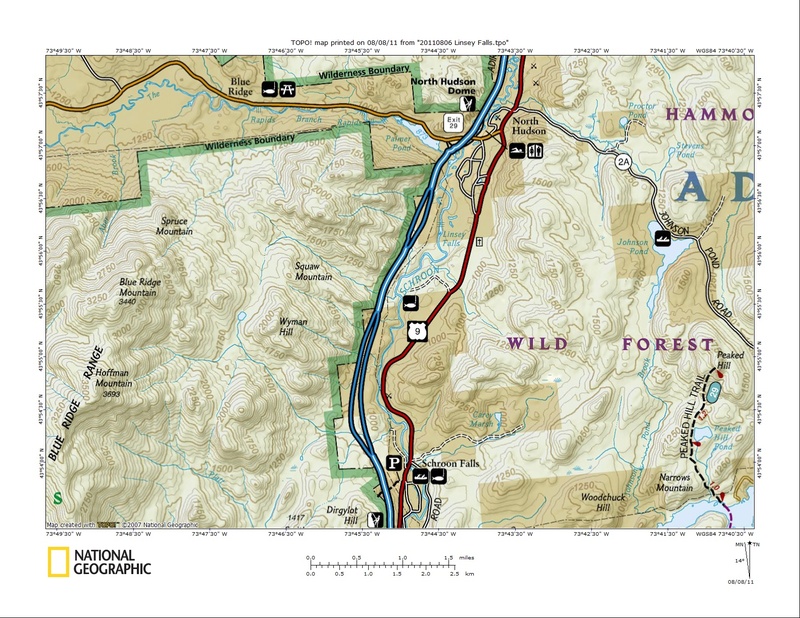 Hey fellow kayakers, does any one know the average times to take a leisurely paddle from Exit 29/ North Hudson to Schroon Falls and from the falls down to the Lake? I have done the trip from exit 29 to 28 many times but was thinking of heading up over the next few weekends to try the falls to the lake. Any rough estimates would be appreciated so we could figure what time our friends in town should meet us at Maloneys or the Timber wolf. 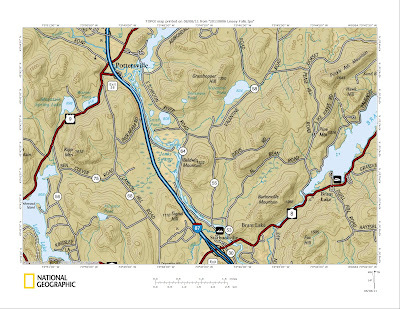 For me, at a leisurely pace, it's about 1.5 hours from Exit 29 to Schroon Falls and then another 3 hours to the Schroon Lake boat launch in town.